When you’ve finally decided to start a blog there are so many things that you should consider. Like, where will you host the blog or what are the best free tools available for new bloggers? I have put together a list of easy to use tools that will be helpful for any blogger, but most helpful for a new blogger. Check out The Beginners Affiliate Blueprint Free eBook from Amazon to learn how to use affiliate marketing to earn an income. The links that are provided in this blog is a direct link for your convenience. 1. I currently use WordPress.com for my host and domain. I choose the premium plan because I wanted to monetize my blog. Monetizing your blog is important if you plan to earn an income from blogging. There are free plans available, but they are not allowed to be monetized. If you select a premium blog plan or business plan, your blog will automatically qualify for WordAds. WordAds is similar to the affiliate GoogleAdSense, except WordAds are automatically available without building up your blog’s traffic first. There are many different themes to choose from within WordPress or you have the option to upload your own theme. Check out WordPress.com and read through the available plans and benefits to see if this is a great fit for your needs. 2. Wix.com is similar to WordPress with a variety in blog themes and design. But the site isn’t as versatile with plug-in availability. If you are planning to start a free blog just for fun, Wix.com is a good choice. Check them out if you are on a tight budget and want to start your site. 3. BlueHost.com is also a really good host for a beginner blogger because they are discounted and they have a great response team that will answer all of your questions. If you are interested in flexibility with your website and/or blog, I would recommend checking out BlueHost.com. 1. MailChimp.com is a great tool to use to collect subscriber information. If you are planning to monetize your blog but you are not ready to invest a lot. Sign-Up for MailChimp.com to make sure that you are collecting subscribers. It is free to sign-up and your first 2,000 subscribers are free. The app allows you to create popups and campaigns for welcome emails and newsletters. I currently use MailChimp.com and I love the app! When I have an idea about a newsletter and I am away from home, I can write down my ideas in the form using the mobile app. 1. Amazon is a very good affiliate marketing tool to use for the round-up post, how to videos or posts, product reviews, and service reviews. If you plan to earn money from blogging, try amazon and play around with the products and services of the site in your blog posts. The possibilities are endless because of the variety in the products. It is free to signup and there isn’t a minimum traffic requirement. To sign up scroll to the bottom of the Amazon link provided and click Become an affiliate. 2. 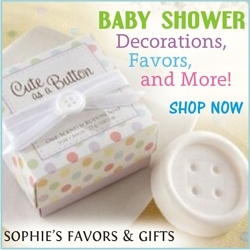 Shareasale.com has a collection of merchants that they have placed in one place. You can pretty much find anything worth sharing on their website from clothing to digital products. Share A Sale is beneficial for round-up blog posts as well as product reviews. It is pretty easy to get approved for this affiliate. Once you apply, you should receive a response within 24 hours. I was approved in an hour to become an affiliate and around 24 hours for my first merchant approval. If you are considering an affiliate that works well with any website or blog this is a great choice. 3. Creativefabrica.com has many great benefits to joining their affiliate program. I stumbled upon this website when I was searching for free fonts to use for my Etsy shop design. What’s amazing about this website is that they have created an email list that blasts out free downloads for almost everything craft. To sign up for free fonts, graphic images, SVG files and themes you have to create a profile. Once you’ve created the profile you may apply for an affiliate number. It’s an easy process with many different benefits. Check out the affiliate website and explore their freebies. 4. 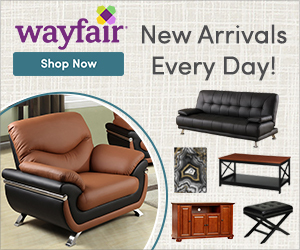 Wayfair is another great affiliate program that new bloggers should join. Wayfair makes it easy to add their banners to your website and they have pretty good instructions about how to grow as an affiliate. The tools available allow you to use them for any affiliate program. It is really informative and worth signing up for. The process is really simple to sign up and they have a good commission rate as well. 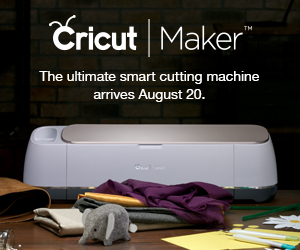 Cricut is another affiliate that I am proud to join. Cricut has a huge customer base and it isn’t as difficult to make a sale. The idea behind joining the Cricut affiliate program was I own Cricut products and I will write tutorials about my favorite products and tools from the brand. It does take a while to be approved and they do not approve every application. There isn’t a traffic requirement, so I suggest that everyone should apply. Ebates is another affiliate to look out for. I love to shop through Ebates because I earn cash back. But their referral program is also a nice deal. If you have friends and family that don’t have an Ebates account you can refer them and earn a referral credit and they also earn a credit. Ebates is also great to add to your blogs for the round-up post and money saving tips. You can fit Ebates in almost anywhere. I will update this list as I find new tools that are helpful. I have tested all of the tools listed and so far they have worked for what I needed them for. Do you have a favorite blog tool? Share it in the comments below!